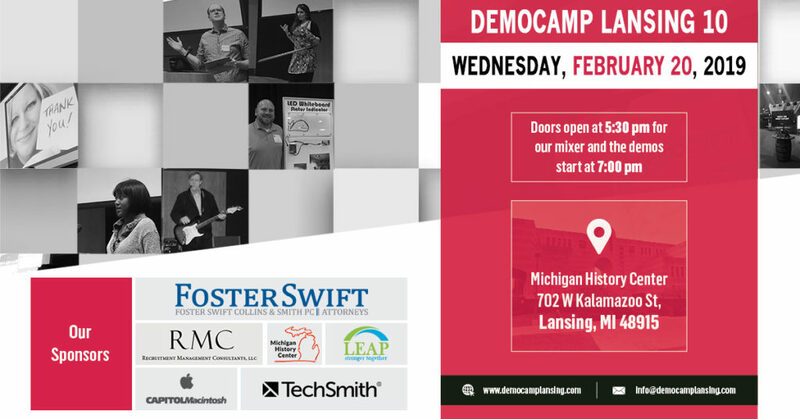 DemoCamp Lansing 10… that’s right this is the TENTH DemoCamp Lansing! Doors open at 5:30 pm for our mixer and the demos start at 7:00 pm. 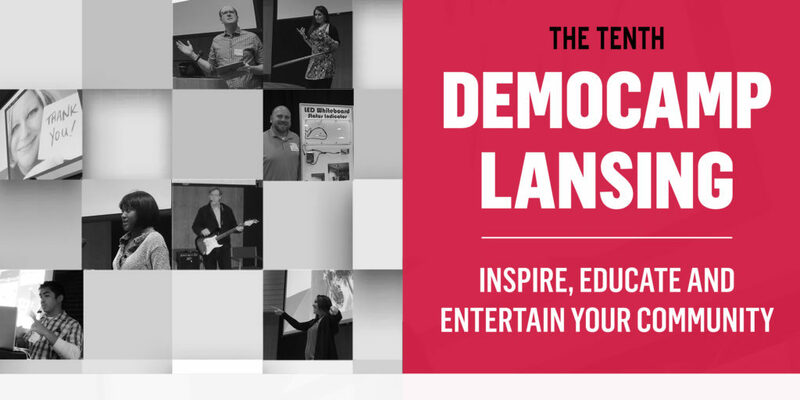 DemoCamp Lansing is an un-conference style of event designed to inspire, educate, and entertain the audience. It is a community event for developers, designers, marketers, entrepreneurs, students – everyone is welcome. 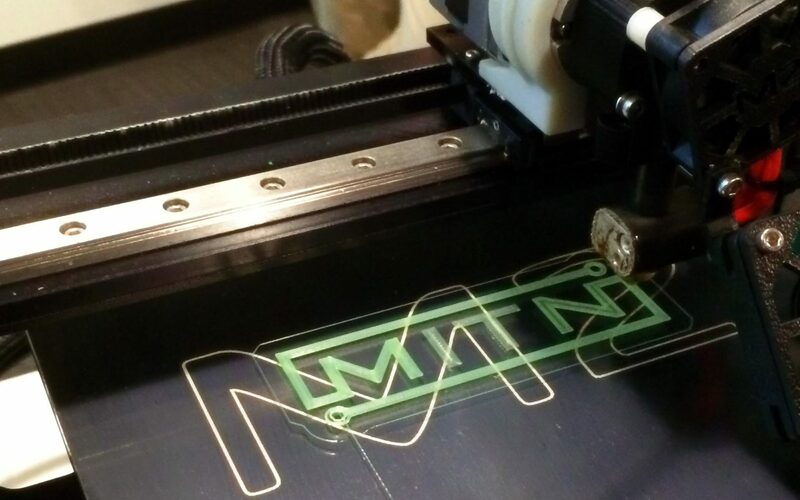 We have cool people making cool things in Lansing! Speakers show off cool products, websites, and anything else they’ve built. The goal is to see new technology, meet other interesting techies, and learn about new and emerging tech. Plan for a relaxed and casual atmosphere (and plan to have some fun, too! ).